Along with many other members of the Standing Rock community, [tribal chair David] Archambault has steered the encampment in a nonviolent direction. 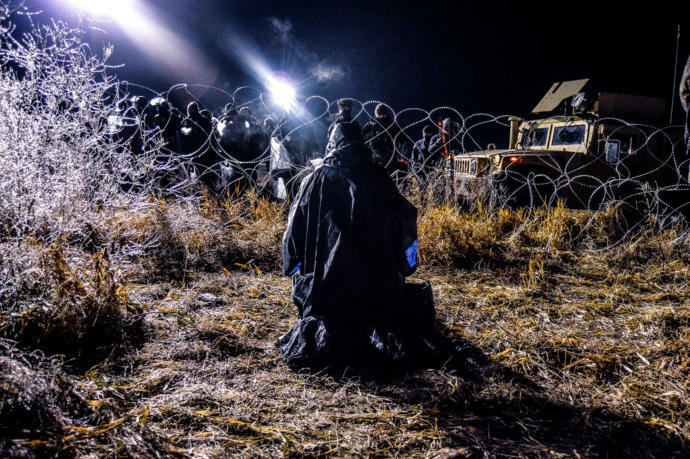 The camp’s direct-action group, Red Warrior, has maintained a discipline and humility that still speaks powerfully to people all over the world. A recently published photo of a person from that night of November 20th, covered in ice and praying, illustrates the deep resolve that comes from a philosophy based on generosity of spirit.